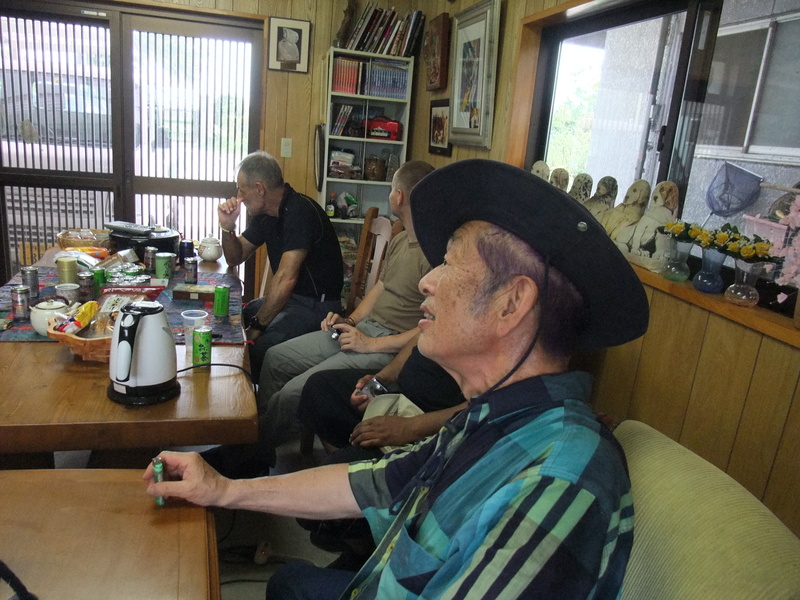 Today a group of buyu from all over the world where lucky to visit once again Sensei’s second house. 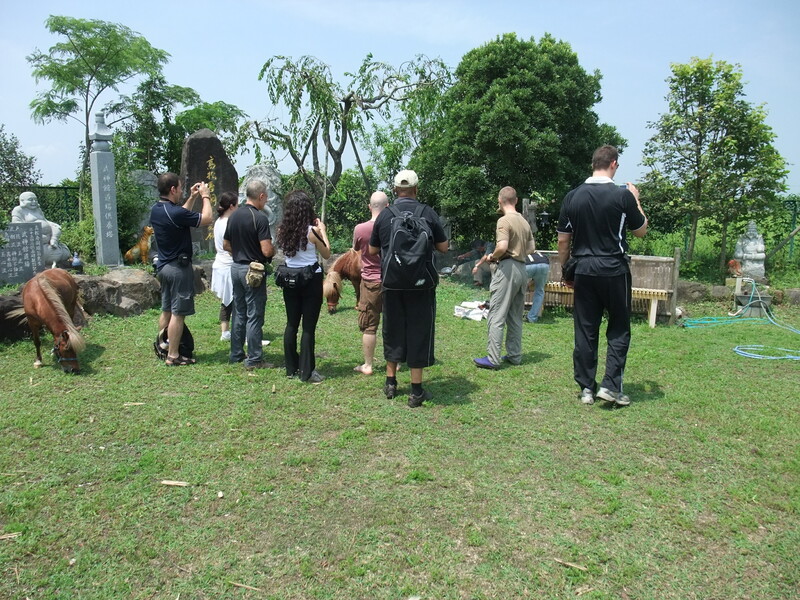 Today around 11:30, we met with Akira, Noguchi, Darren, Collado, Miller, Eguia and a few others at the hombu where Senô sensei was teaching a group of students sweating in the terrible heat of the day. 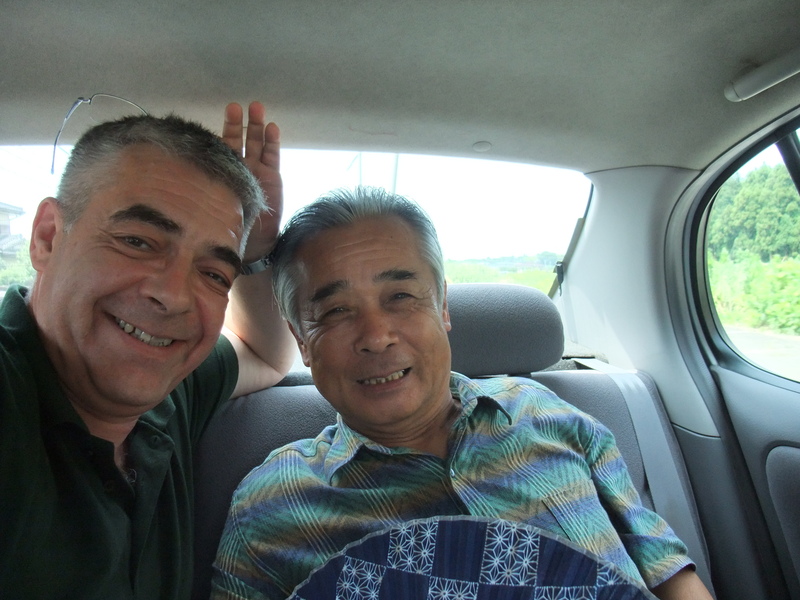 The heat and humidity were at their peak today and I felt bad to be in the car with Noguchi sensei (and the AC). When the group was complete with Darren and his car we drove to the Tsukuba mountain where sensei has located his second house. This is there that he spends a lot of time painting, writing, and taking care of his many animals. 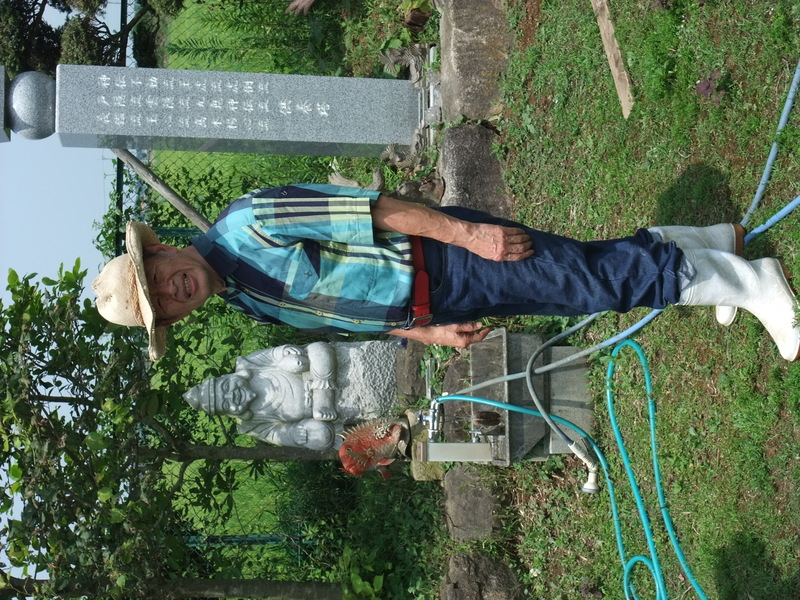 When we arrived we were welcomed by sensei dressed like a real gentleman farmer in his country outfit. Many practitioners see him as “non human” and not only because he always repeats that he is a UFO. The bujinkan is a system to live a happy life and he was shining happiness and expressing it like he does with his budô. I love to see him so happy in his daily life. 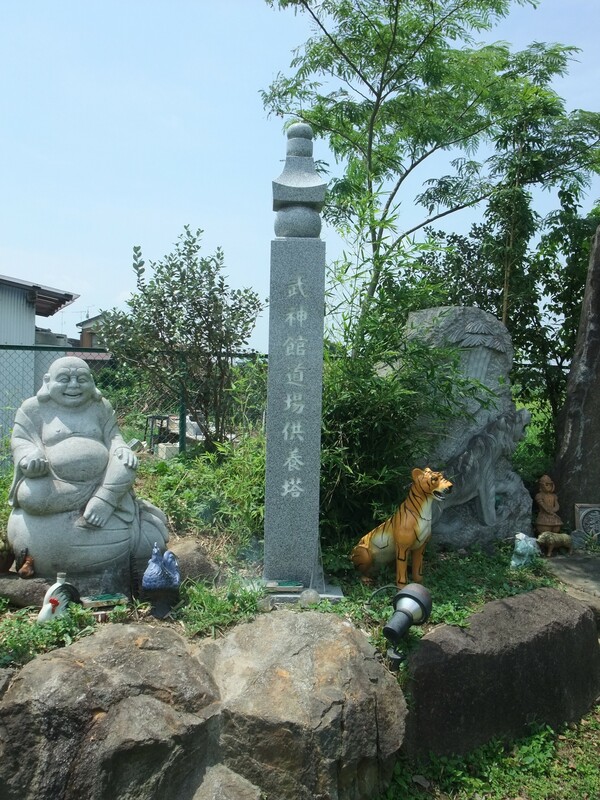 In the garden each one of us lit some incense sticks to the 9 statues of the nine schools and we all prayed to the memory of Takamatsu sensei in front of the memorial of 6 tons built in the garden. Do you know that in his office in Noda sensei prays everyday for the memory of his parents, of Takamatsu sensei but also for the sake of the shidôshi of the bujinkan? 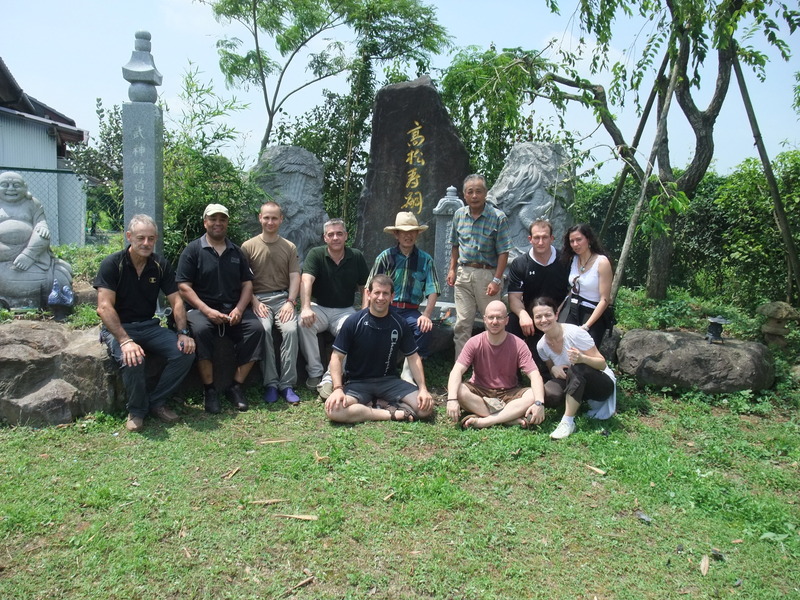 Sensei is very religious person and only a few of the bujinkan students know that. Over the years when I was helping him for some work, I saw him a few times praying while we were working. 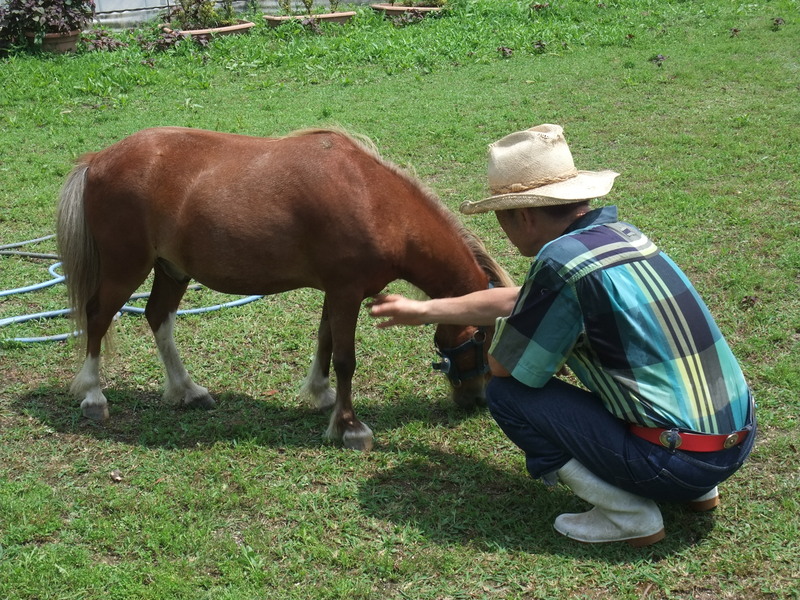 In the garden there is a green house that we use in winter, a small arena where sensei “walks” the poneys, a small stable for the poneys and many staues and carved stones carved with the name of the nine schools. 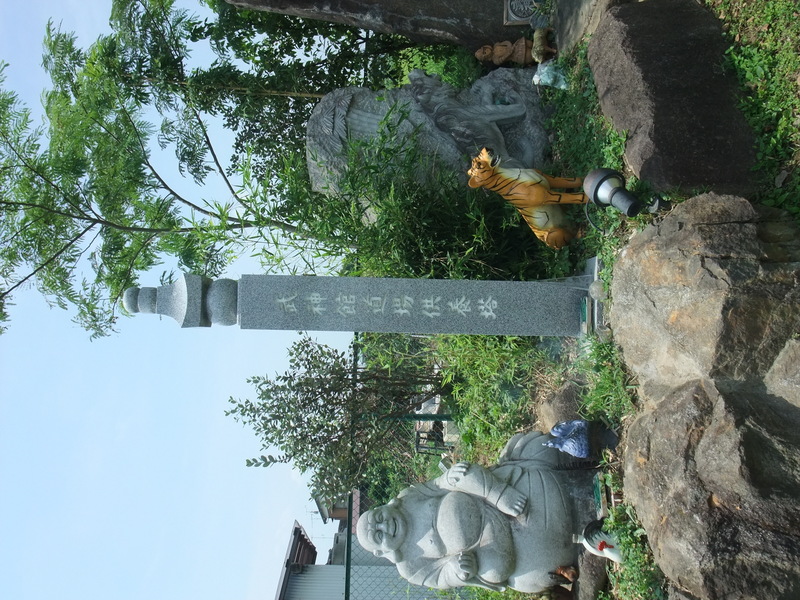 The garden is filled with statues of divinities, symbolic rocks and carved texts. After padding Kuki and Tobi, the two poneys of sensei and taking care of the dogs (asuka, mae and a third one), the water turtles in their basin, it was time to “pay our respect” to the statue of Marylin Monroe (sensei likes her very much). 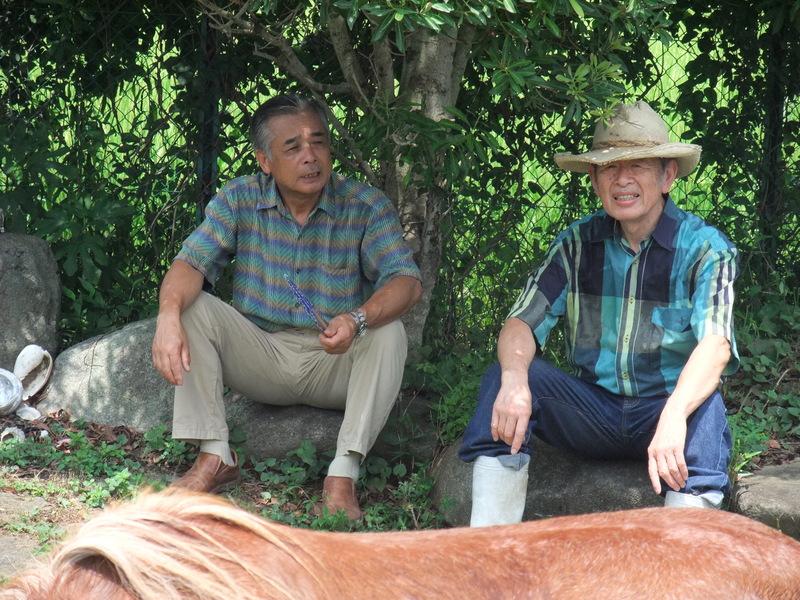 I have been visiting this house many times since sensei has decided to split his time between Noda and Tsukuba. And the “Marylin game” has become some sort of ritual over the years. I think I have pictures of all the high ranks of the bujinkan (including me) having fun with the american star. as he puts it, life is too short to take it too seriously. 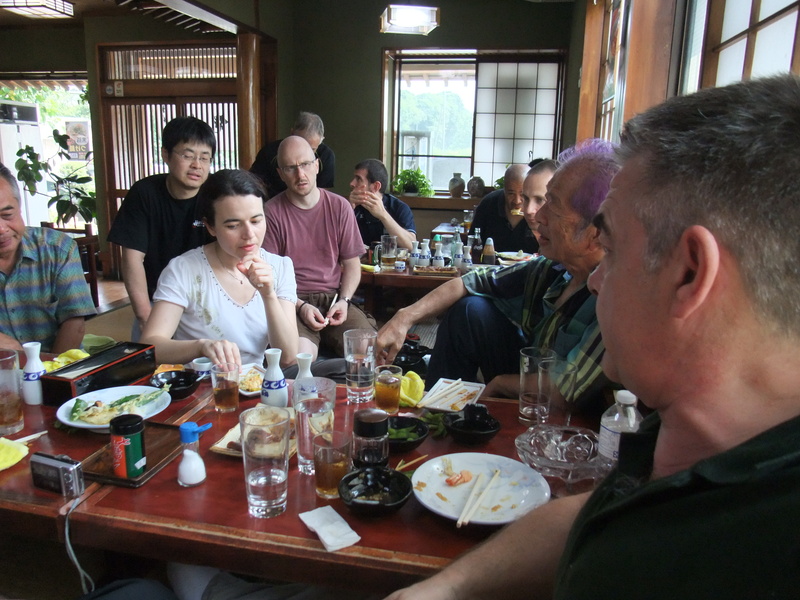 Then it was time to eat and the whole group climbed into the cars and we all went to have lunch with sensei in a restaurant nearby. 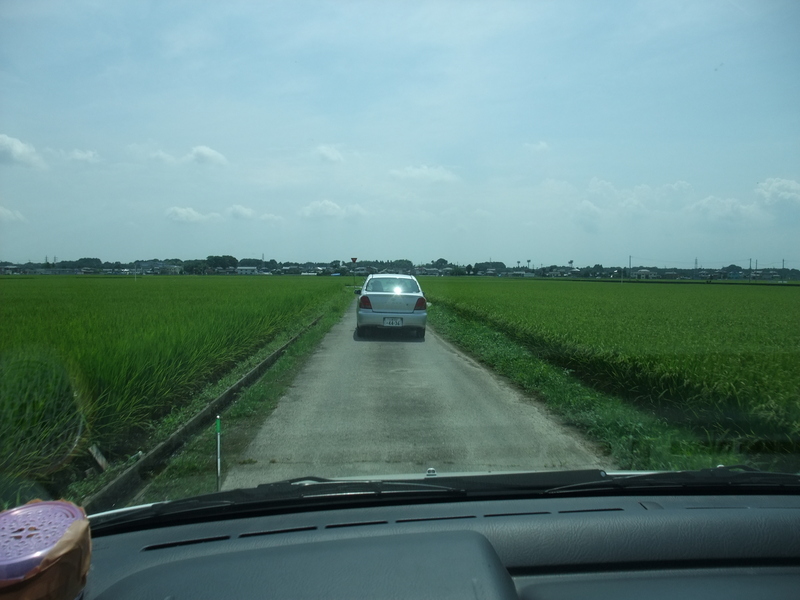 The house is surrounded by rice fields on the plains down the Tsukuba mountain. It is strange to be there after the being in the citadin life of kashiwa city or Atago. With the heat hammering everything, it felt like being in another country. No noise, no wind only the sound of the cicadas in the trees. A special thank you to Darren for keeping cool bottles of water in the car after the heat of the garden. It was a real enjoyment. The poor restaurant keeper had a hard time coping with a sudden arrival of so many gaijin. I have seen that many times over the years and I believe that sensei loves to do that. As always this is a very special moment and I am sure that many bujinkan practitioners would have liked to be there with us. We felt privileged and honored to spend these special moments with him. During this two hour lunch, sensei spoke a lot about the importance of the flow in our lives, of past events and above all of the priority to be happy. Happiness is more important than the techniques he said. The goal of the bujinkan is to make people happy and to live a happy life. We were also lucky to have a charming Italian resident translating for us and through her could speak with sensei easily. Thank you Cinzia on behalf of the whole group! Since my last visit many new stones and stones have been added. The one on the left is to remember all our bujinkan buyu who dies since the beginning. Death is what makes Life worth it explained sensei to the group in the restaurant. Because we train techniques to bring death to our opponent we develop by contrast a strong feeling of life. Many times during lunch sensei spoke of our future Hombu dôjô that will be built soon to become some kind of cultural centre for the world. Sensei asked us also to share these moments of true kumite with the buyu from all over the world this is why this long article is written for. It was time to go back to our lives in the city and after a last teas in one of the room of the house with the walls covered by the many presents, sensei has received during all these years, we departed. We left sensei benefiting from the rest of this day and from the happiness it has given us all. Funnily during lunch he thanked us twice to have been able to come! Be happy and do not take your life too seriously – simply enjoy beautiful moments like this one. Un hermoso día, una experiencia maravillosa junto al Sôke, gracias por compartirla con todos a traves de tus fotos y tus palabras en este blog. Dale mis saludos, cariño y respeto al Sensei. Very nice! I enjoyed reading this, domo arigato….. Thank you very much for sharing this memory with us! Nice post Arnaud, many thanks. Great to see Soke is looking so well and also Noguchi Sensei. Thank you so much for making making out of words and bringing alive an image in our heads of Sensei’s life and home. Felt Like I was taking a Virtual 3D Tour when I was reading your post & seeing the photos! WONDERFUL article….really beautiful in fact… thank you. Good timing with this article. Thank you. Hug.